Earlier today we said that we expected to have a few new product releases this week. We just expected that they would all be tied to Kona. Silca however has been playing by their own set of rules for some time now – so releasing a product during Kona that isn’t specifically tied to triathlon… why not. The Silca Tire Levers Premio pair a high strength forged aluminum lever with a semi-rigid Nylon Pad on the rim side of the lever only. This allows the overall lever to be thinner, yet stiffer and stronger than either full plastic or metal core designs. 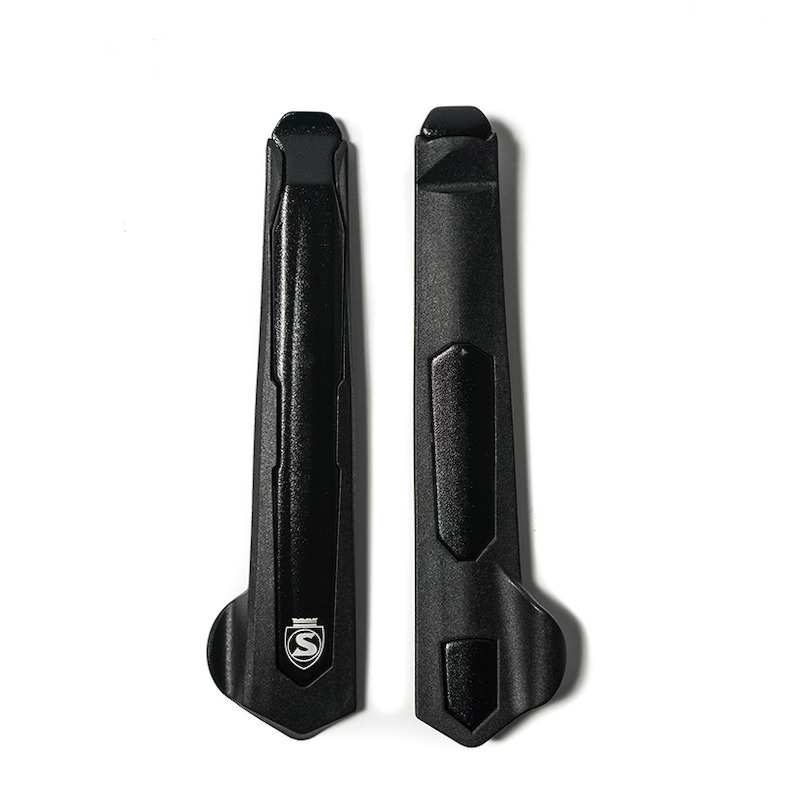 Even better, Tire Levers Premio utilize a designed in Flex-Core Zone which allows the Nylon Pad to conform to the curvature of the rim during use for maximum distribution of load. 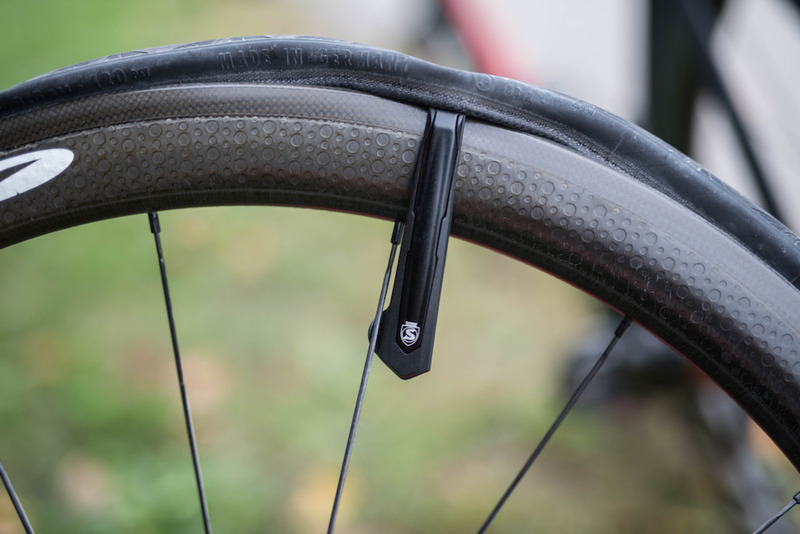 Due to the high strength, full-metal blade, Tire Levers Premio are 25-30% narrower than other lever designs, making them ideal for very tight tires and tubeless setups where access to the tire bead is very tight. 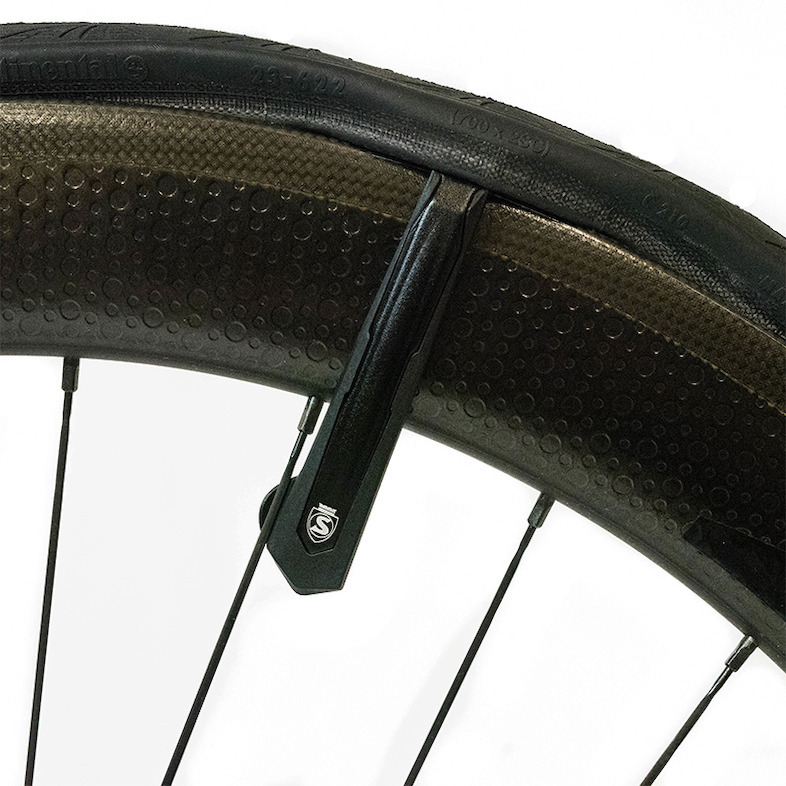 Something that is hugely ideal for those looking to make a quick tire change as you watch competitors ride past (we guess this does have to do with triathlon!) In the past, we have commented about how much we like certain wheels (and dislike others) because you can do a rapid tire change on them – the Tire Levers Premio has the potential to open our options quite a bit. The Tire Levers Premio retail for $18 on silca.cc. We can’t help but notice that that is about three times the price of our always trusty Pedro’s Levers. But if the Tire Levers Premio can speed up tire changes (and allow us to race with some wheels we have chosen not to have in the past) with their narrower design – we honestly aren’t going complain one bit.